If you are looking to get new clients for your business, we can help you get the right leads. We also provide full transparency – where these calls and enquiries came from and what the cost of each of those leads is. Take a look at these screenshots of some of our recent campaigns. As you can see, conversion rates vary between 9%-33%. In case you are wondering, a typical conversion rate is around 3%. With these conversion rates, you don’t need a lot of visitors which means that your costs decrease. Our campaigns are built to support your sales process and to bring your the right leads. This is achieved through a tailored strategy for each business that we work with. We consider your business setup, roles within your team and service structure to establish the right strategy for you. We are an Australian digital marketing agency with offices in Brisbane and Melbourne. Our aim is to help businesses grow through clever marketing that reaches ideal target audiences with the right message. With hundreds of happy clients on board, we are looking to grow our success with new clients. The managing director Alexei Kouleshov personally gets involved in every account that comes on board. With his experience in web design, information systems and marketing, he is able to provide the necessary attention to detail to make sure each account is successful. Our team consists of 7 highly skilled individuals, all specialising in their own areas. Our search engine marketing team members hold distinguished awards from Google for their performance and certifications. With all of our accounts, we get Google account representatives providing us industry benchmarks and their feedback to make sure we are on the right track. This is a privilege available to Google Premier Partners and makes a big difference. We specialise in campaigns that are fast, effective and scalable. Being able to start fast, work with any budget and produce results is what makes us different. We apply strategies that best suit a business model to produce conversions. Typically, we recommend that our clients start with Google Ads as it is the fastest way to get targeted exposure for almost any business. Once we have enough data, we are able to look into other marketing avenues such as SEO and Social Media. We don’t tend to specialise in everything, which is why we partner with a number of agencies that are good at what they do. Our specialty is Google Ads. With a team of friendly experts, we are able to help our clients achieve their goals. Give us a call or arrange an appointment to meet in our office to discuss your goals. 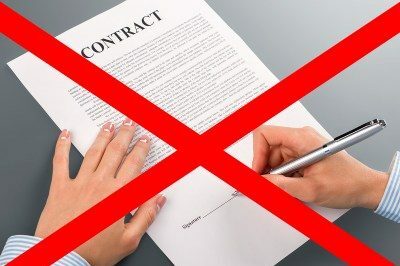 We offer no contracts with our Google Ads services. We believe that results can speak for themselves and prefer to base our relationship with clients on delivering. We’ve been managing Google Ads for clients successfully since 2004. 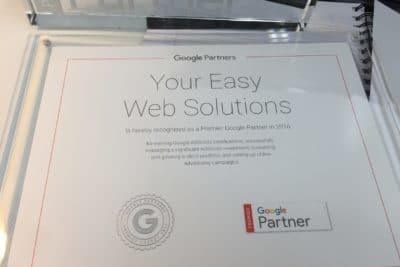 In July 2016, we were awarded the Google Premier Partner badge. This is the highest level of distinction from Google. Our main objective is to get our customers the desired outcome. We build all kinds of campaigns to achieve the set goals and make sure they are fully measurable to track and fine-tune performance. Your Easy Web Solutions have done a fantastic job for my business over the past 15 months. 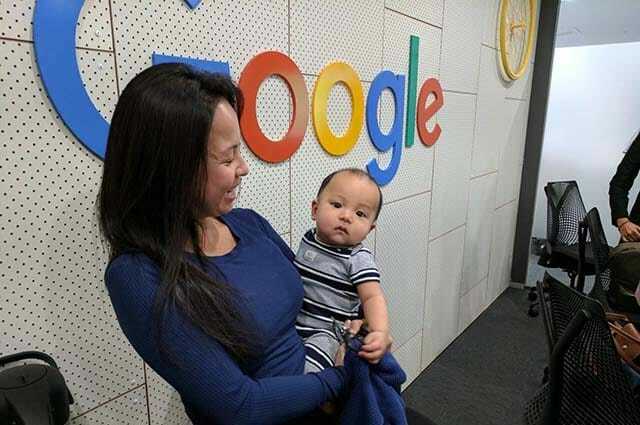 Not only have they made our google campaigns more cost effective but they have also managed to grow our leads. We are now working on exploring other ways with their team so we can reach even more customers. As a business that was looking to reach more customers YEWS have helped us out greatly and I would highly recommend you contact them to help you do the same. I went for 6 weeks with bad landing pages to my Google Ads campaigns. Then these guys rebuilt them. The pages have been up for 4 business days and I’ve had multiple enquiries every single day since, and secured projects. I couldn’t thank these guys enough, couldn’t be happier. Their price it fair and they know their stuff. Do yourself a favour, contact them now! Our business engaged Your Easy Web Solutions in May of 2016. We commenced with a fairly low budget for an Google Ads campaign to raise awareness of our brand within our local domestic market. Since this time our campaign budgets have increased, 2 landing pages were developed and our website revamped. In 10 months we have realised a substantial increase in new sales equating to close to 89% ROI. The team at YEWS are extremely knowledgable and helpful and we have gleaned an extensive amount of information about our “future” clients from Google Analytics. Next Step Google Ads and SEO. Thanks to Alexei and the team and I look forward to working with you in the coming months.